If you don’t like messing around with external 18650 batteries, no bother! These vape mods all run on internal batteries – and they are all really freakin’ good too! The VooPoo Drag Mini is a great little vape mod. It has a large 4400mAh battery, the biggest of all three mods mentioned in this post. It also looks stunning with its gorgeous resin accents. Under the hood, you have the mighty GENE chip that delivers a maximum of 117W and features a full TC suite. If you want a solid, robust, and truly powerful vape mod with an internal battery, this is my current favorite right now. The UFORCE tank it comes with – a mesh coil setup – is also very good too. All in all, a solid vape mod with killer battery life. 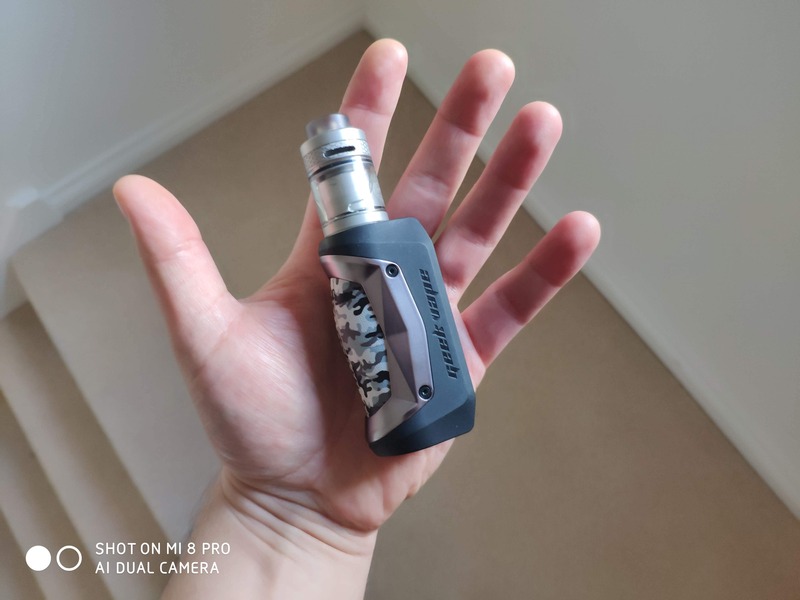 The GeekVape AEGIS Mini is teeny tiny, and this makes it ideal for anyone that is looking for a smaller vape mod. The mod itself is water and dust-proof and it features a myriad of features from TC vaping modes to curves and, of course, power mode. Ideal for use with a single coil RTA or an MTL tank, the AGEIS Mini is brilliant in certain contexts. It’s not ideal for low resistance sub ohm tanks, but if you’re rocking a 0.4ohm coil you should be fine. The mod is available in tons of color options too. I do really love this lil fella too; it’s just so portable and easy to use. Plus with 80W of power, you have more than enough for most tanks. 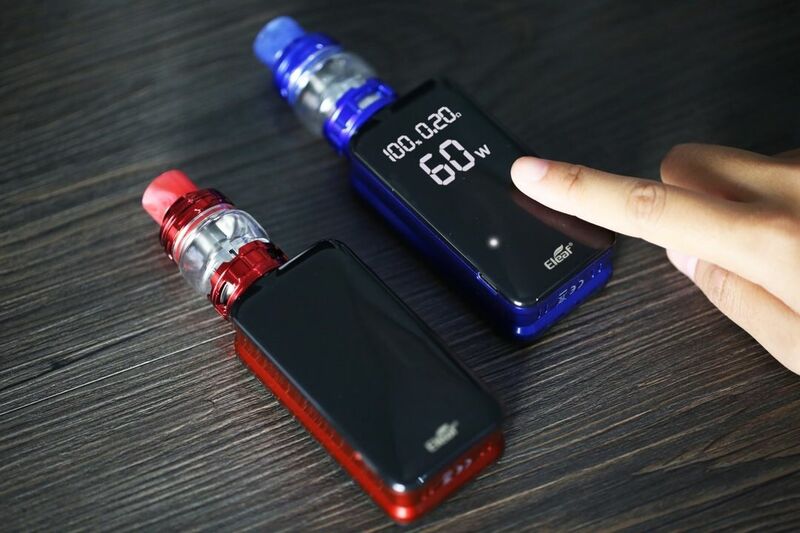 The Eleaf NOWOS is a unique little number from Eleaf; it’s super unique-looking and it features a truly novel display – the buttons are hidden in it until you triple click the fire key. You have a max output of 80W, and it comes with a seriously good mesh coil tank. The overall design and finish are superb here. Add in the fact it runs on USB Type C and has Quick Charge (it’ll go from dead to full in 40 minutes) and you’re in a very good place. I use and abuse all of these mods, but I tend to use this one more simply because it has Quick Charge and will charge up from dead to full in about 40 minutes. Ideal! If you don’t want to be messing around with large external vape batteries and chargers, you’re going to need a vape mod with an internal battery. As always, there are pros and cons to this style of vape mod, which is why most mods inside our Best Vape Mod Guide run removable cells. And for cons? Well, battery life isn’t quite as good as it is on a mod with dual (or triple) 18650 cells. But that’s kind of a given. I have three vape mods (with internal batteries) that I use pretty much all the time. I like all of them and they’re all solid performers. They’re all slightly different too; one is premium and powerful, the other is small and portable, and the other is very cost effective. Basically, it’s a nice spread of options! If you’re running a mod with an internal battery, you definitely do not want to be running a super-low-resistance coil at high wattages. Why’s that? Because it will KILL your battery life in quick fashion. Ideally, you want a sub ohm coil that has a relatively light resistance 0.4ohms is great. This way, you can run the tank in and around 50-55W, and get plenty of vapor and flavor, without taxing your battery life too hard. Another option is to run a single coil MTL RTA on it – these are my current favorite single coil MTL RTA tanks right now. A single coil MTL RTA runs super-low, so you can get days of battery life from your battery life. Even on mods with single or small internal batteries. The don’t draw like a normal vape tank either; they’re designed to pull like a cigarette. This is why they’re very popular with new vapers and people like me that enjoy the sensation. As I said: the three mentioned at the top of the post are what I’m using right now. But there are tons of other options, including DNA mods which are great if you want to do temperature control vaping. Regularly readers will know that I only ever recommend gear that I use, and the three mods mentioned at the beginning are all very good setups. They all have decent battery life, plenty of power, and are packed with awesome features. 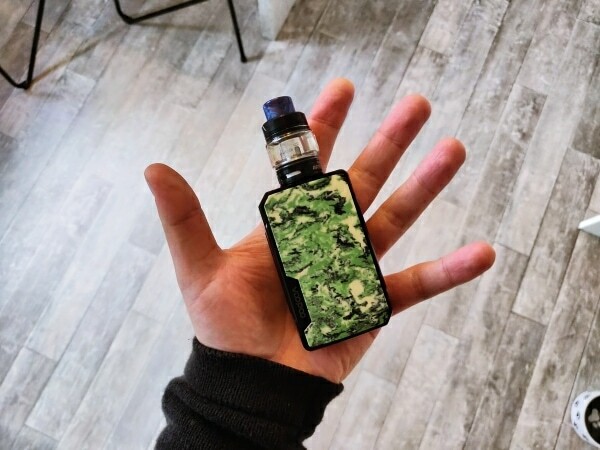 My personal favorite is a toss-up between the VooPoo Drag Mini and the GeekVape AEGIS Mini. The AEGIS Mini is great for MTL tanks, while the Drag Mini is great for RDAs and high power vape tanks. I just prefer the look and feel of them, though the Eleaf NOWOS is very good too – and it comes with a very impressive mesh coil tank. As with most things, whichever mod you go for will depend on personal preference. Taste is subjective and you may prefer the look of the NOWOS over the DRAG Mini, and that’s perfectly fine. The key takeaway here is simple: I’ve tested and used all three of these mods for months on end, and they’re all super-solid performers. I do enjoy some more than others, but I would happily recommend any of these three mods to readers and friends that are looking for a reliable, good-looking vape mod with internal battery cells.